Hit play and the tab automatically scrolls on. 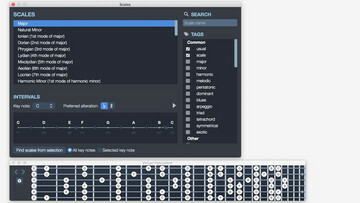 A highlighted cursor lets you know which note is being played and the sound engine reproduces all of the effects specific to the guitar: pickstroking and fingerpicking, bend, slide and ghost notes. 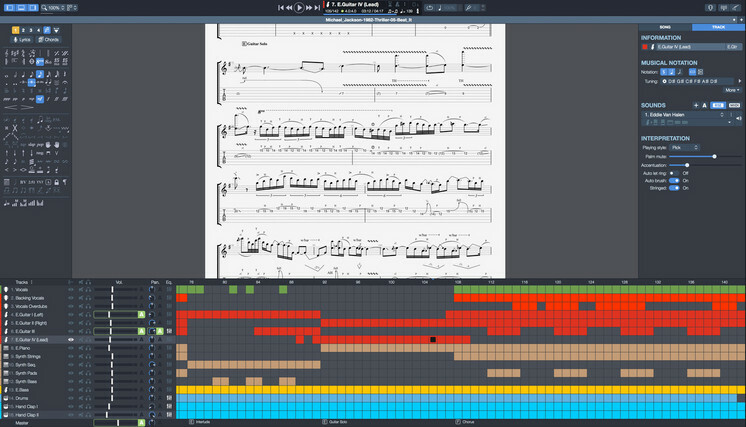 You can also adjust tempo or use the speed trainer to loop a section of the score while inscreasing the bpm (beat per minute). 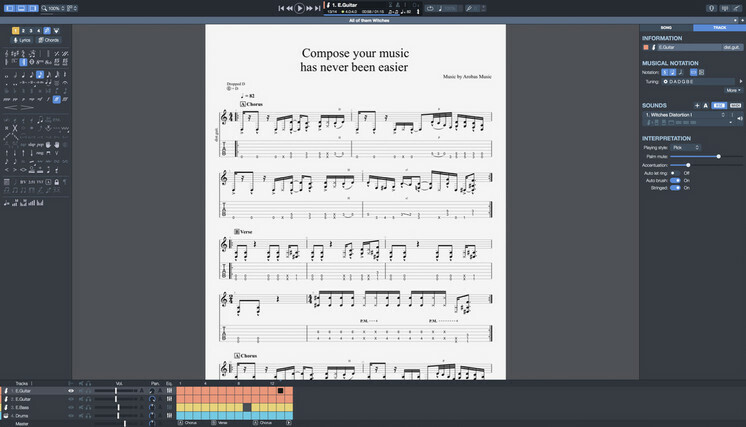 Drive your Guitar Pro files with the instrument's global view available below the sheet music. 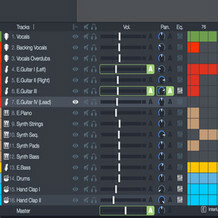 It allows you to have a synthetic view of the instrument tracks and thus to easily move around it. 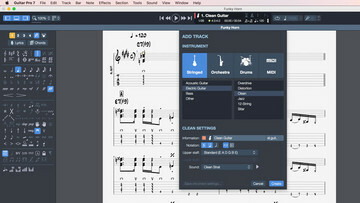 You can define various sections in a score, such as intro, verse, or chorus. 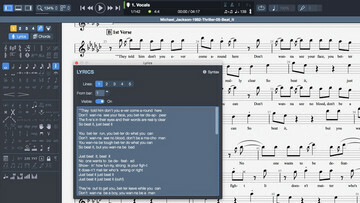 Audio mixing features are included in this overview. You can mute one or several tracks, and choose to show or hide them. 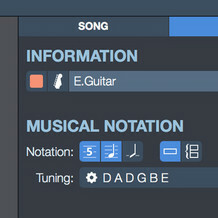 Simply solo/mute the tracks you want as if you were playing along with your band. 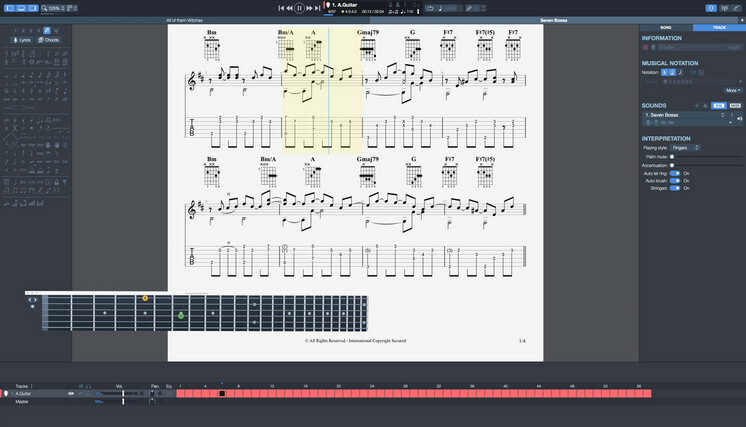 The mySongBook tablature archive allows you to access to more than 2000 professionnal tabs. You can buy tabs individually or subscribe to the service. 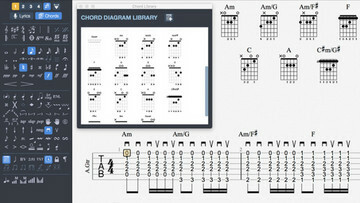 Everyday, discover also the Free Tab of the Day, which is available for free during 24 hours. 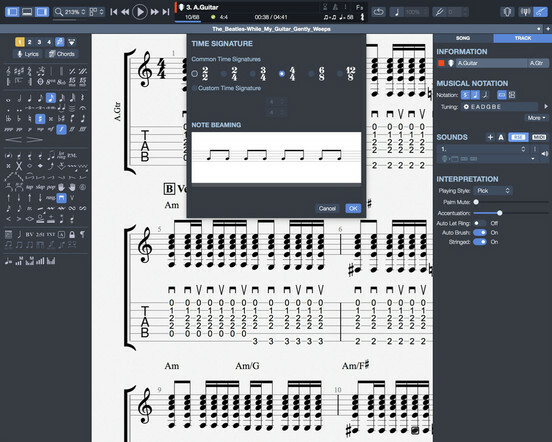 It is also possible to find Guitar Pro files for free on the internet. 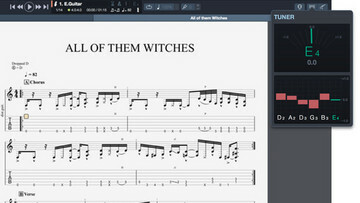 Many websites, artists, music teachers and users are transcribing new files on a daily basis. The software is available in English, French, German, Italian, Japanese, Polish, Portuguese, Russian, Spanish, Swedish, Traditional and Simplified Chinese. Translations in other languages will be provided in the next free software updates. 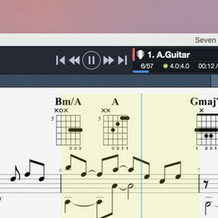 *To plug your guitar in the software with a low latency, we recommend you to use an external sound card (ASIO compatible for Windows and Core Audio compatible for macOS). The purchased license gives you the right to install the software on a maximum of 5 computer or operating systems at the same time. The use of the software, even when installed on 5 computer or operating systems, is for a single user and, by extension, to his/her family (same household). 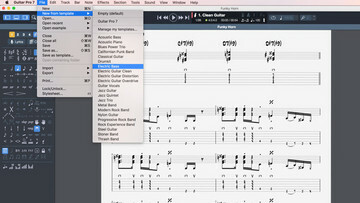 This makes it possible, for example, to reinstall Guitar Pro in case of (a) new installation(s) / change(s) of operating systems, or in case of a double installation on a desktop computer at home and a laptop belonging to the same user.